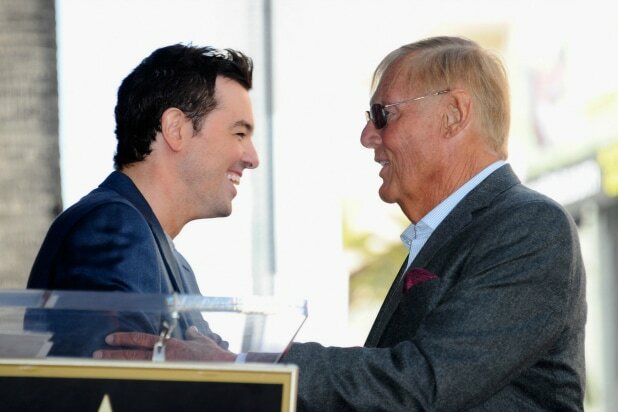 Adam West and Seth MacFarlane on April 5, 2012 in Hollywood, California. 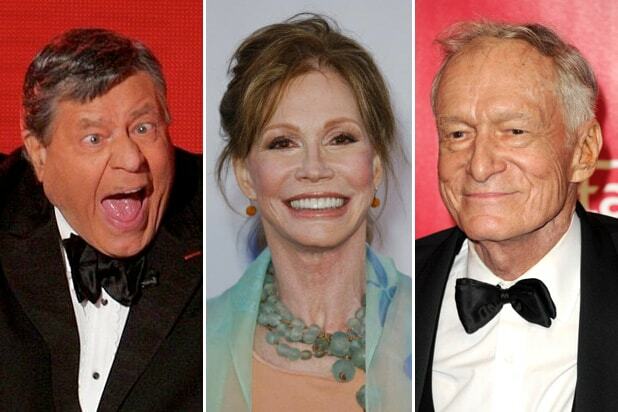 Seth MacFarlane, the creator of and voice behind many in “Family Guy,” remembered his friend and co-worker Adam West Saturday in a statement. West, who played himself on “Family Guy” as the mayor of MacFarlane’s fictional Quahog, died earlier today following a brief battle with leukemia. The actor who famously played Batman on TV in the 1960s was 88.